Numerous attacks on drivers of public buses occurred throughout Italy in recent years, showing that the on board cameras have not been an effective remedy, even for those vehicles in which they were. In fact, these cameras are used as mere “black boxes”, i.e. to record video to be made available to the authorities, in case of investigations. They are therefore not effective in avoiding criminal acts, but only constitute an aid for recognizing the responsible for those acts, however, once these ones have already been completed. In this scenario, APIS has developed Bus Angel, a system that has been successfully tested by the Public Transport Company of Bari (AMTAB). Creation of a historical “log book”, related to journeys and kilometers in order to attest the effectively perfomred public service to the community at the funding bodies (Region or Municipality). 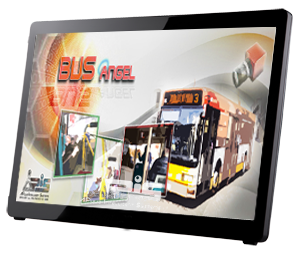 The Bus Angel heart is a machine vision software that works in real time, and on board, processing the video streams captured by the cameras installed at strategic locations. As soon as the video analysis automatically identifies the criminal acts, an alarm is sent to the operational central control via UMTS, together with the position of the vehicle, video clips and photos related to the event, in order to verify the alarm and alter the police. From the hardware point of view, the system consists of a server (located in the control center), and of the on-board bus devices, i.e. cameras positioned in the driver area (for surveillance purposes) and on the access doors (for counting passengers); automotive computer embedding video stream acquisition ports, GPS modules (for localization) and UMTS (for communication). The smart video surveillance functionality and the passenger counting and creation of the logbook, are based on separate modules, and can be implemented independently, according to the needs.